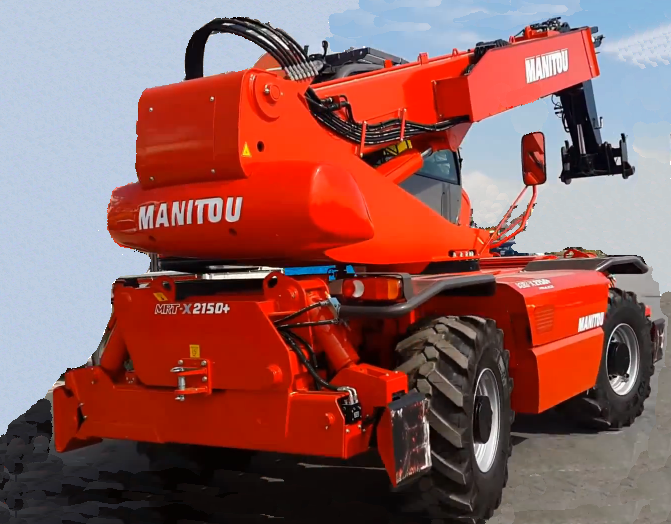 When working with renovation and demolition inside buildings we often use a self going personal lifts like the Manitou Telehandler (see photo) to reach things up under the ceiling. Typically two workers in the lift is tearing down things that has to go and this lands on the floor where it is picked up by other workers who carry this to the waste containers placed inside or outside of the building. This particular task (picking up the trash) is for the most carried out with a small wheel loader and several workers. Imagine the hook lift container equipped with a Jack-Pack® unit, it could be attached to the personal lift and hence it will move around in the building with the lift. Operators will maneuver the lift with the container attached so the container always sits right down under the lift basket all the time and then all of the trash torn down will fall right into the container. No more need for the clean up team on the floor, which will give huge savings. Working with Telehandlers in general would benefit of the Jack-Pack® unit in many situations, f.ex. when materials are delivered to a worksite. If delivered in a hook lift container then the Telehandler could simply hook the container to its own hook and the container will follow the Telehandler around on the work site with its material inside and always in reach for the machine. Never worry again about where your hook lift containers are dropped off by the hook loader trucks. It doesn’t matter anymore thanks to the Jack-Pack® unit. Here is an example of using a telehandler with a dumpster attached in a tree cutting operation alongside a road. Tree branches are falling directly into the bin when cutted with a chainsaw. When the bin is full you can just load it directly on to the hook loader and haul it away. Have thoughts about the hook lift container handling solution? Please leave your comment in the container handler's comment field, click here.